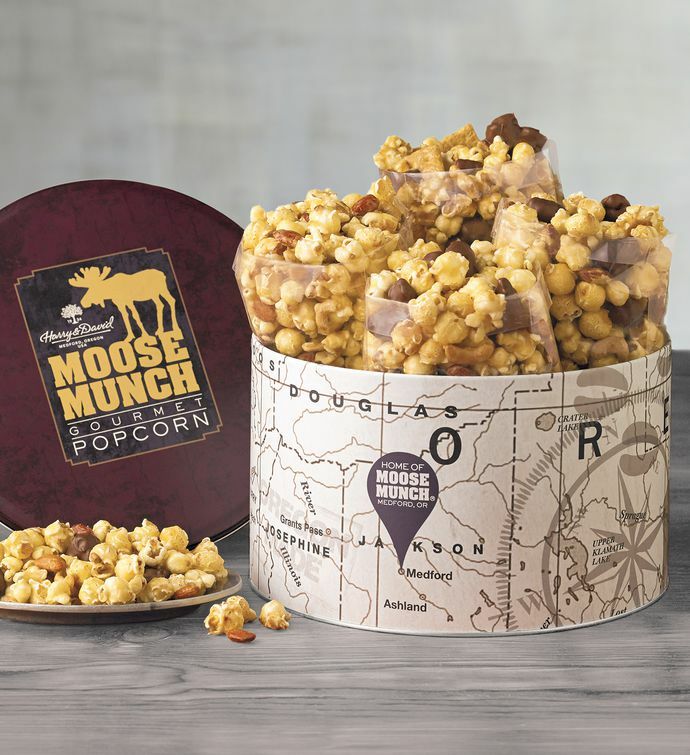 Moose Munch® Premium Popcorn is not your average caramel popcorn. Every detail of the recipe went through intense scrutiny, from the type of corn we use to how the caramel coats each popped kernel. It took over 160 attempts to get the original recipe absolutely perfect, and that dedication and effort can be tasted in each sweet and crunchy bite of our gourmet popcorn. Delight in several delicious flavors, including classic caramel, s'mores, milk chocolate, and dark chocolate.